Caption: Heather Jacobs is the new Riverkeeper for the Pamlico-Tar River. Heather comes to the watershed from her home in Boalsburg, Pennsylvania. She has a Masters of Environmental Management from the Nicholas School of the Environment at Duke University where her concentration was in water and air resources with an emphasis on water quality and wetland ecosystems. Her undergraduate degree from Lycoming College in Williamsport, PA, is in Biology with a minor in Economics. 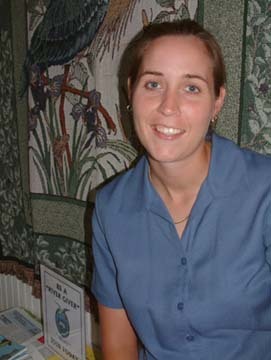 From 2000-2002, Heather served as a Peace Corps Volunteer for agro-forestry and environmental education in El Salvador. She has extensive practical experience in assessing stream and river water quality, hydrological characteristics, and the overall health of a watershed in accordance with rapid bio-assessment protocols. Macro-invertebrate sampling techniques and familiarity with benthic populations and water quality sampling equipment, as well as water quality field and lab instrumentation have been a part of Heather's formal background in water resources. She comes well prepared to the PTRF-sponsored position of Pamlico-Tar Riverkeeper®. "The protection of any watershed requires a comprehensive effort among environmental organizations, businesses, communities, and the government. There must be a base level of current information on the quality of the watershed, sources of stress and depletion, and an idea of the land-use development plan by communities and governmental institutions. Conservation of any natural resource also requires that the local communities have a strong understanding of the technical aspects of how their personal behavior and their government's activities affect no only their local environment, but that of those who live downstream." 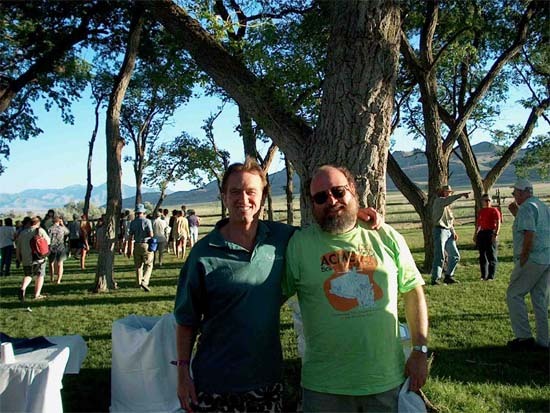 Needless to say, PTRF feels fortunate to have found a Riverkeeper with Heather's exceptional credentials and a true understanding of the stakeholders and the precious resource at stake!. Beaufort County, North Carolina - The Pamlico-Tar River Foundation has expanded its efforts as "the voice of the River" with the recent appointment of the first-ever Riverkeeper for the Pamlico watershed. Heather Jacobs, originally from Pennsylvania, says she "fell in love" with North Carolina during her time at Duke University's Nicholas School of the Environment, where she earned a master's degree in Environmental Management with a focus in water management. Upon completion of graduate school, Jacobs entered the Peace Corps, an experience she says she always knew she was meant to undertake -- she says she has her father, a Methodist minister, to thank for that. In September 2000, Jacobs traveled to El Salvador to begin her time with the Peace Corps. After three months' training, Jacobs ventured off on her own to a village of about 5,000, where she remained until mid-October of 2002. Although Jacobs intended to help locals learn better management of agricultural and forest resources, she says within her first couple of months in El Salvador, two major, tandem earthquakes, and the 3,000 aftershocks that followed, annihilated her village and necessitated nine to 10 months of rebuilding. One native doctor said to her, regarding administering vaccines: "You're an American; you know how to do this." With no experience, Jacobs estimates she vaccinated as many as 200 children against the measles. Although Jacobs says she took very little Spanish in high school and throughout college, her conversational skills in the language developed quickly during her time in El Salvador. Jacobs hopes to reach out to the Latino community in Beaufort County and the surrounding areas using the language skills she acquired. Additionally, while in El Salvador, Jacobs was instrumental in educating children about the consequences of one's treatment of the environment and individual responsibility concerning preservation. Jacobs worked with indigent farmers to control erosion, a "big problem," encouraging them not to burn their land to clear it. She says in El Salvador, coffee -- formerly a staple crop -- is no longer viable there because of decreased demand in the world market and the country's climate. As part of her service, she helped farmers shift to planting fruit trees; while she was there, she says, she helped plant around 1,300 trees. According to a press release, Jacobs will "bring additional skills to the Foundation to effectively deal with the problems the Tar-Pamlico watershed is currently facing." Those problems, according to Jacobs, include excessive nitrogen and phosphorus nutrients -- attributable to runoff from farmland, golf courses, cities and towns -- that deplete oxygen levels; and erosion, which "scours out and entrenches the riverbed," causing sedimentation buildup downstream. Jacobs adamantly declares, "We (at PTRF) are not against economic development, but rather (we favor) sustainable development. We need to be good stewards of the land, as we are borrowing from future generations." Jacobs calls for a stop to what she calls "reactive policy" of residents and lawmakers, where nothing is done to head off a problem until it becomes so extreme it is unavoidable. She prefers a more aggressive approach, so that precautions are taken to prevent problems. Jacobs acknowledges the financial dependency upon the Pamlico-Tar River of the local community ; for example, she says, "If the (local) crabbing and fishing industry were lost to poor water quality, the impact upon Beaufort County would be huge." Jacobs says she hopes to work with a number of local groups and individuals -- including farmers, government officials, schoolchildren and their teachers, and retirees -- to prevent such a possibility. It is important for everyone to take steps towards preservation, conservation and regeneration, indicates Jacobs. Farmers, she says, can buffer streams within their land by not growing crops or raising animals directly beside tributaries to prevent runoff; volunteers can participate in water monitoring by collecting samples to be tested for toxins. Jacobs says the success of her program will "depend upon volunteers to monitor the state of the watershed" -- a watershed that includes 5,500 square miles of land and tributaries that eventually flow into the Pamlico River and on into the Pamlico Sound. In addition to establishing a volunteer water-quality monitoring program, Jacobs hopes to "implement an environmental education program for children" and be a presence in local school systems; she says she hopes science teachers will get their classes involved in water monitoring and PTRF membership. She also hopes to collaborate with the Estuarium to translate brochures into Spanish in an effort to involve and educate more members of the community. Jacobs says she would even like to produce a video. Jacobs says she knows speaking engagements will be a large part of her initial efforts in order to effectively get the word out; she says she is "willing to speak to any group or organization" concerning a cause about which she is clearly passionate. Jacobs is also enthusiastic about becoming a visible presence on local waterways in the newly purchased Riverkeeper boat. Additionally, Jacobs plans to write, in some capacity, for the PTRF's quarterly newsletter. Says Jacobs: "I encourage any person who is willing to get involved and who would like the satisfaction of knowing that the river will be protected and enjoyed by their children and grandchildren to contact myself or the organization." Jacobs can be reached at 252-946-7211. More information about the PTRF can be found on-line at www.ptrf.org. The white T-shirts, pinned up at the donated Sewall's Point office of the Indian Riverkeeper, carry a message: Demand Clean Water! That is riverkeeper Kevin Stinnette's mission. "I speak for the river. The river doesn't have a voice," he said. "I go where the future of the water is being discussed and negotiate for the river. I speak for the people who own the river. Us." Elected officials are supposed to speak for our waters, Mr. Stinnette said, but many have been elected because they put the special interests of their campaign contributors ahead of their constituents who want clean water. "Big money colors our whole political system in terrible way." The keepers -- there are lakekeepers and coastkeepers as well as riverkeepers -- all are part of the international Waterkeeper Alliance, founded by Robert F. Kennedy Jr., who also is the chief prosecuting attorney for New York's Hudson Riverkeeper. The alliance includes more than 100 keepers, or advocates, for waterways around the world, including four others in North Florida. Mr. Stinnette is known to Treasure Coast residents as one of the "St. Lucie Four" who successfully fought a proposed bridge across the Indian River at Walton Road -- in spite of a nuisance lawsuit filed against them by Figg Bridge Engineers. Known as a "strategic lawsuit against public participation" or SLAPP suit, it later was dropped. The Treasure Coast Environmental Defense Fund, which raised money for the bridge opposition, helps pay the riverkeeper's $43,000 salary. He also has grants from private foundations -- carefully chosen to avoid conflicts of interest -- along with donations from fishing groups and local Riverkeeper members. The "keeper" idea privatizes environmental protection, giving citizens an option when government fails to enforce environmental laws. The Hudson River, where the movement began, has gone "from a cesspool to recovered fish stocks of shad and striped bass," Mr. Stinnette said. Keepers also protest when government agencies are the polluters. "If terrorists did the damage to the St. Lucie (River) Estuary that the Army Corps of Engineers is doing," he said, "we'd put them before a military tribunal." The corps and the South Florida Water Management District jointly manage Lake Okeechobee, periodically dumping huge quantities of polluted fresh water from the lake into the brackish river. Outbreaks of sores and lesions on fish, damage to sea grass and oyster beds followed past dumping. Mr. Stinnette is organizing people to help deal with the spread of an invasive seaweed fed by nutrients from treated sewage, which some scientists say seeps onto reefs from deep-injection wells. Research in Hawaii has linked injection-well seepage to tumors on sea turtles, and sea turtles in the Indian River lagoon have the same kinds of virus-caused tumors, Mr. Stinnette said. The former Peace Corps volunteer and schoolteacher is frustrated dealing with government officials who have decided deep-well injection is safe, despite mounting evidence to the contrary. "Instead of them proving it's safe, we are expected to prove it isn't," he said. "There should be a moratorium on deep-well injection until they can prove there's no connection to the invasive algae and sea-turtle mortality." He wants more from Great Lakes Dredge & Dock Co., a dredging firm the Department of Environmental Protection already has fined $28,000 for spilling oil and plastic foam when it dredged the St. Lucie Inlet last summer. DEP did not require the company to clean up the plastic foam, and much of it still is lodged in mangroves near the Crossroads, where the Indian and St. Lucie rivers and the Intracoastal Waterway meet at the St. Lucie Inlet. Volunteers have picked up thousands of pieces of the foam, but Mr. Stinnette believes DEP should have levied a higher fine and that the Coast Guard, in charge of enforcing marine plastics pollution, should take action. "We're trying to make sure," he said, "that a person can't litter the river with plastic and walk away." Mr. Stinnette also will examine who has permits to dump pollutants into the Indian River and its watershed, which includes the St. Lucie River, and will seek grant money for an environmental education program at St. Lucie's Mariposa Elementary. He hopes more people will join the Waterkeeper Alliance. He wants to see keepers for the St. Lucie River, the Lake Worth Lagoon, Florida Bay, Lake Okeechobee and "a whole ring of keeper programs around the Everglades." It's too bad they're needed. But government not only has failed to protect our waters; it has become one of the polluters. The Indian River is lucky to have Mr. Stinnette. In last week's column, I incorrectly described a test in Miami-Dade, in which officials used dye to test the amount of time water would take to travel to a well from which drinking water is drawn. The dye was placed in a quarry lake, rather than a wastewater injection site, and took four hours to appear in drinking water rather than the 100 hours expected. More about Indian Riverkeeper Kevin Stinnette. Kevin Stinnette has served as president of the Treasure Coast Environmental Defense Fund and on the Board of Directors of the St. Lucie County Conservation Alliance. He is one of the "St. Lucie Four" written about by Florida columnist Carl Hiaasen. Kevin has served on the boards of not for profit organizations ranging from Self Reliance, a Tampa organization with a $1 Million+ budget, (providing housing and transportation services to the disabled), to The Conservation Alliance, St. Lucie County's anchor environmental organization. Kevin was a Peace Corps Volunteer in Tunisia North Africa in 1990 and has great appreciation of the cultural diversity on the Treasure Coast. He has experience in agriculture and the construction industry. He is certified to teach middle/high school English, speech and special education (Physically challenged) Kevin was most recently Technology Coordinator at Forest Grove Middle School in St. Lucie County. The Coast Guard licensed Kevin as a captain in 1983. He has a lifetime of experience on the water, including years of offshore yacht racing, work as an excursion, charter and delivery captain across the Bahamas and the Gulf of Mexico. 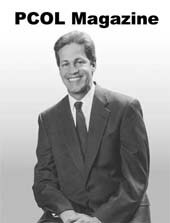 His degree in Speech Communication from University of South Florida is central to his comfort and ability in speaking at public meetings. He has spoken at state meetings of Audubon and Sierra Club, The National Green Scissors Conference in Washington and countless county commission, expressway authority, and city council meetings. His three-year participation on the Comprehensive Plan Study Group for St. Lucie County has given him a thorough understanding of growth management in Florida. Kevin has a positive relationship with local environmental agencies. He arranged sea grass surveys that identified federally protected Johnson's sea grass in the path of the proposed Walton Road Toll Bridge and joined with Department of Environmental Protection divers in transects that quantified the presence of that sea grass where previous surveys had not been done. He has earned the respect of South Florida Water Management District staff as well as National Marine Fisheries Service employees. Kevin's input contributed to thorough and negative responses to the Expressway Authority's Advanced Notification from the above mentioned agencies and the St. Lucie County Community Development Agency. Kevin grew up near Tampa Bay in St. Petersburg. He has lived in Florida since he was 3 years old and has a deep love of the state. He is happily married to Florida native Marilyn Waugh-Stinnette and they live on the Indian River Lagoon in St. Lucie County. I love what you do in our Taita land to eradicate poverty. Please i beg for scholarship to aid me complete my undergraduate degree. I shall be free to give any other needed information.